Prepare for football season by stocking your catering company, restaurant, or sports bar with Washington Redskins merchandise. 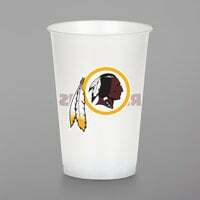 We offer a wide range of Redskins merchandise and party products like plates, cups, napkins, and even straws, so you can find everything you need for an event in one convenient place. Additionally, all of these products prominently feature the colors and logo of the team, which makes them instantly recognizable to any sports fan. 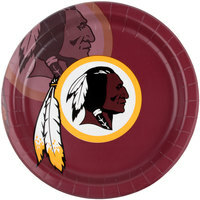 Your upcoming tailgate, game day event, or birthday party won’t be complete without our selection of Washington Redskins merchandise. 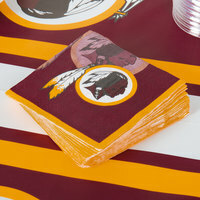 These products are ideal for parties because they feature the Redskins colors and logo for a festive look. Plus, they’re disposable, so you can simply throw them away after use and save time on cleanup. 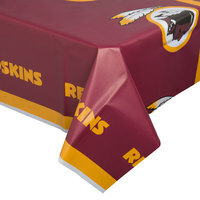 As an added bonus, we offer Washington Redskins stuff in bulk cases, making it easy to stock up for your upcoming events.